WASHINGTON -- Arizona Sen. John McCain has been diagnosed with a brain tumor after doctors removed a blood clot above his left eye last week, his office said in a statement Wednesday. 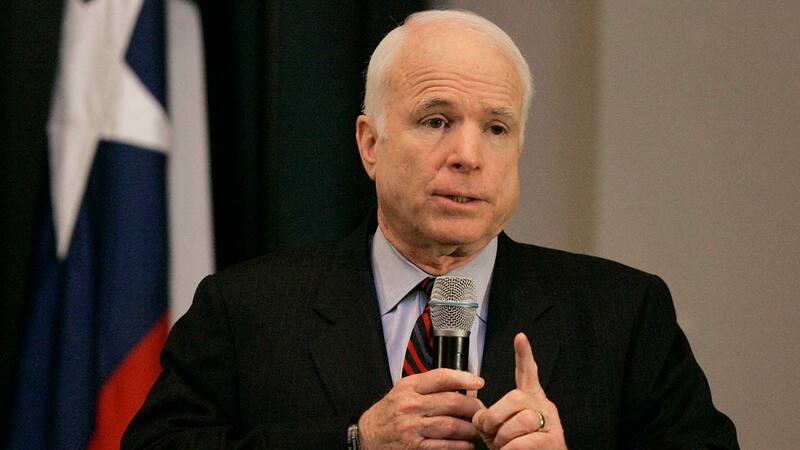 McCain was the GOP's presidential nominee in 2008, when he and running mate Sarah Palin lost to Barack Obama. A Navy pilot, he was shot down over Vietnam and held as a prisoner for 5 1/2 years.